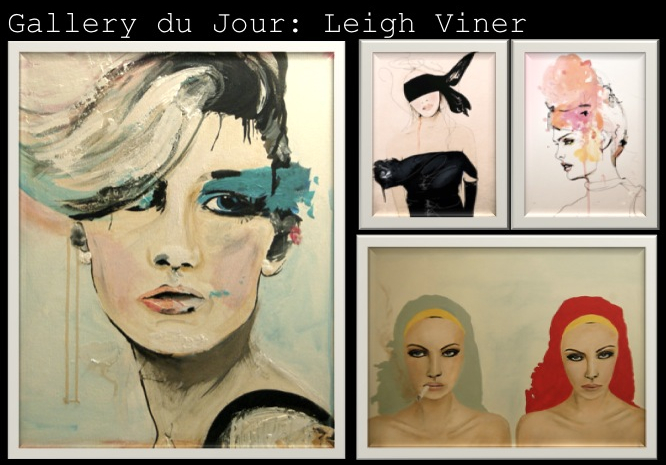 As many of you know, I have been lusting over Leigh Viner's fashion illustrations for quite some time now. The Denver artist not only creates compelling drawings, but she is also a photographer and a make-up artist. Available on Etsy, these pretty pictures are the perfect finishing touch for a blogger's dream office or a fanciful boudoir. these are insane! I love them! Oh my goodness this post came at the perfect time for me. I am looking for some new art. Headed over to check out her Etsy shop now! Those are really pretty pictures! I just found your blog and I love your fashion posts!! I'm definitely following now. If you get a sec, I'd love if you'd check out my blog. Wow awesome artist find! Going to check it out now! These pictures would look great in an office. Brilliant! Would really love to have the one with black outfit hanged inside my room. Pretty. I just found your blog & I just adore it - your sense of style is amazing.! Beautiful post!!! I like your blog! this gallery is so amazing! Beautiful! You have a great eye!